Frank’s road to jail started when the complainant petitioned the Economic and Financial Crimes Commission, EFCC, and alleged that sometimes in April, 2018, the convict issued a Guarantee Trust Bank cheques of Three Million, Four Hundred And Seventy (N3,470,000) in favour of Miagro Limited dated April 3, 2018 to offset his indebtedness; upon presentation to the Bank, it was dishonoured due to insufficient funds. All effort to reach him proved abortive thus the petition, investigation and subsequently, the prosecution. One of the count reads: That you Ugwu Ejike Frank, sometime in April, 2018 in Kaduna within the judicial division of this honourable court did cheat Miagro Limited by dishonestly inducing it to deliver to you Agro Chemicals via a Guarantee Trust Bank cheque when you knew there was no money in the said account and you thereby committed an offence contrary to Section 306(a) and punishable under Section 307 of the Penal Code Law Kaduna State 2017”. 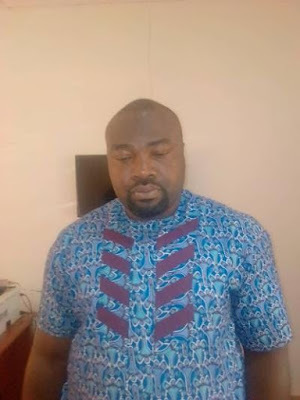 Frank pleaded guilty to an amended charge preferred against him by the EFCC, based on a plea bargain agreement dated April 3, 2019. Prosecuting Counsel, M.Lawal, then prayed the court to sentence him accordingly. Defence Counsel, Nicholas Oche, pleaded with the court to temper justice with mercy as he was a first time offender. In sentencing Frank, Justice Tukur considered the plea bargain agreement as well as the plea of his counsel and sentenced him to two years imprisonment with an option of N100, 000 on count one and a fine of N50,000 on count two. Justice Tukur also ordered the convict to pay the balance of N1,970,000 (One Million, Nine Hundred and Seventy Thousands Naira) as restitution to the victim on or before August 31, 2019.